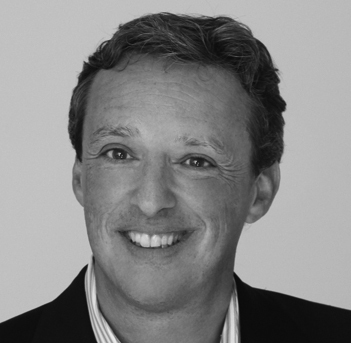 Wim’s strong and personal relationships with DMCs, Event Companies and Professional Congress Organizers throughout his career led to his founding of EDPglobal. As a ‘hands-on’ Owner, Wim still interacts with meeting and incentive planners in New England, Southeast and Eastern Canada, while maintaining strong connections with the EDPglobal DMC partners around the world. 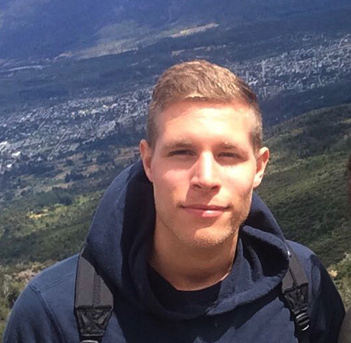 A native of Belgium, Wim is fluent in English, French and Dutch. Bev’s professional relationships in the hotel and service industries have made her a key element in the continued success of EDPglobal. 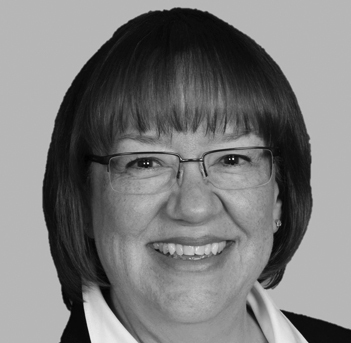 Bev’s extensive administrative, project management and client experience contributes to her expertise and enthusiasm in achieving the goals of EDPglobal and maintaining relationships with our clients and DMC’s. Born and raised in Minnesota, Bev has always taken every opportunity to travel and learn about other cultures. Lisa is a Minneapolis-based meeting and travel professional with extensive experience in hospitality, marketing and incentives. Her creative and collaborative approach gives her the vision to facilitate the identification, development and implementation of promising results for all of her clients in the Midwest. An enthusiastic traveler since getting her first passport, her favorite place to go is the next one on the itinerary! 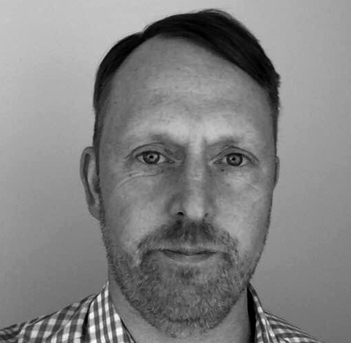 Willem is the newest member of the EDPglobal sales team, joining us after gaining a couple of years of experience in the IT world. Based in St. Paul, Minnesota, Willem takes care of account management and business development in Minnesota, the Southeast, as well as Eastern Canada. 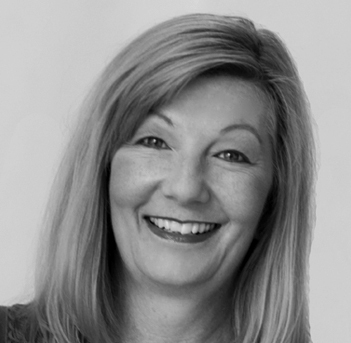 Cindy brings her broad experience and professional relationships within the incentive and meeting industry to her clients in the Western region of the US and Canada. 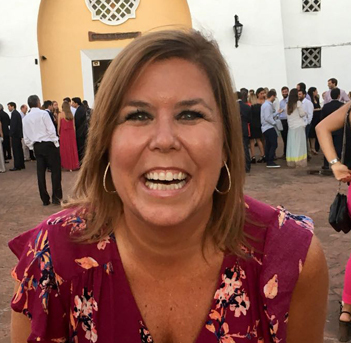 As a former meeting and incentive planner she has worked on every aspect of a program, from initial concept and sale, to management and operation—Cindy understands the unique challenges of today’s meeting and incentive travel planner. During her many years in the business she has traveled extensively with companies over a broad spectrum of industries to all corners of the world. 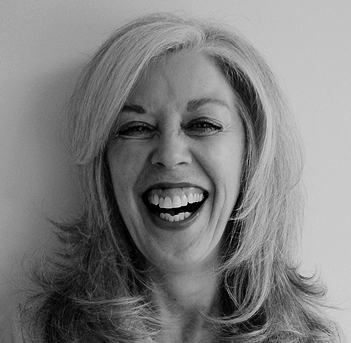 Michelle Marie is a NYC based meeting and event professional with over 10 years of hands-on industry experience, exhibiting tremendous grace under fire, and is a mentor within the industry. Maintaining an office in New York City allows Michelle Marie to make sure that all of her clients in Connecticut, New York, and New Jersey are given 110% of her attention! Dallyce is our Canada attaché, representing the Alchemy brand to our partners in the Great White North. With a 25 year career history of working for global giants such as TUI Travel and Carlson Wagon-lit along with creating and operating boutique travel services for luxury travel, Dallyce is an excellent sales resource. Passionate about visiting South America, she has tested the waters, travelled the lands and put the world’s best travel services to the test. Not to mention, enjoying putting the wines to the test! 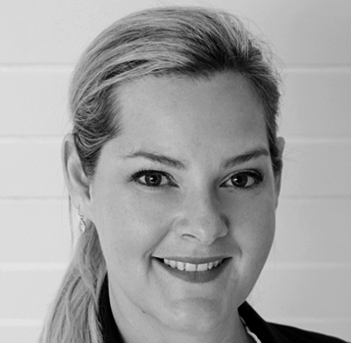 Heidi is a well experience travel professional with a great passion for incentive travel and connecting people. She is a visionary with a strong ability sense of leadership and bringing people together. 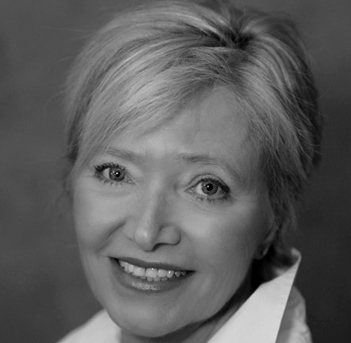 She has been working in the incentive travel segment since 1997 and have been doing representation since 2004. 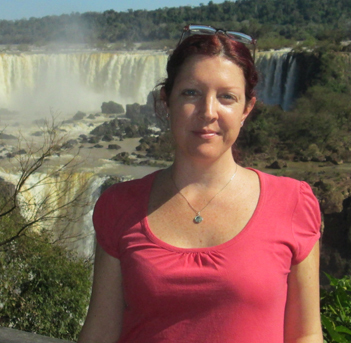 Heidi has been afforded through her work to travel extensively to all corners of the world and exhibits a thorough understanding of what destinations can offer for group travel. Her ability to deliver tangible results and strategic relationships in the South African market has earned her the reputation of delivering superior service and returns for her international Principals. Rune is a correspondent for the Danish press in South America stationed in Buenos Aires since 1999. He has a broad travel-experience both as a journalist throughout South America but also as a tour-guide for Danish groups in the region. He has a degree in Journalism from Denmark and a master in Economics from Universidad de Buenos Aires. He has travelled a lot in Australia, Europe and all of the Americas. Rune is the author of the most read guidebook about Argentina & Chile, published in 2016 by the mayor Danish editorial, Politikens Forlag. Alexander is a partner of ALCHEMY DMC since 2014 and is responsible for the huge Russian-speaking market. He holds a degree in Economics from Moscow State University and is fluent in English, Spanish, Portuguese and Italian. Proud of his Russian heritage, Alexander believes in the enriching power of cultural exchange and communication between the nations. A devout opera lover Alexander have been to all major opera houses being Bolshoi Theatre in Moscow and Teatro Colon in Buenos Aires his favorites. Donovan is a man with many wonderful traits however his standout ability to charm and interact with just about any personality is commendable. With his great sense of humor, Donovan is the kind of man everyone loves to love! He joined Worldview in 2014 as their General Manger and has proved to be an indispensable asset to the team. He has travelled extensively in his role at Worldview and have gained incredible knowledge and understanding of the destinations they represent. Donovan has an great flair for many sports including fishing, golf, tennis and mountain biking. He enjoys socializing with friends and travelling. 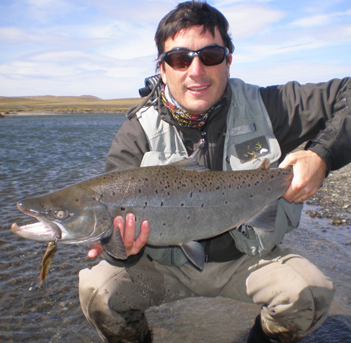 Sergio is a passionate world traveler, fly-fishing lover, soccer devotee, foodie and natural born explorer. 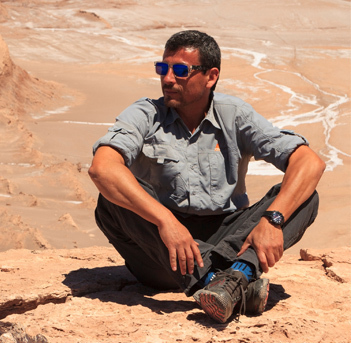 He is a connoisseur of all things remote, seeking out the most special experiences like challenging himself for discovering new remote areas in Argentina, fishing in the deepest Bolivian Jungle and spending time in North Korea. He may even be one of the only Argentineans who has stepped foot in this closed country! 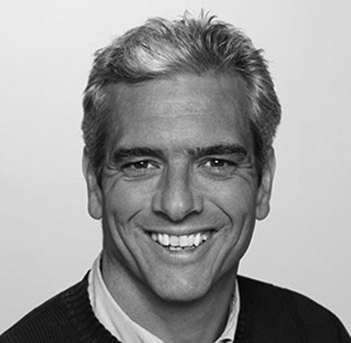 Sergio majored in Hotel Management and Economics at Buenos Aires University and embarked on his career in the hospitality industry at top hotels such as the Four Seasons Buenos Aires. 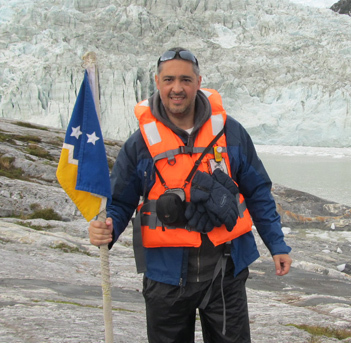 Sergio spent many years travelling, learning and working in the travel industry before settling back in Argentina, living in Norway, Ireland and Spain during this time. Back in his home town of Buenos Aires, Sergio founded INFOBA DMC Argentina with his best friend Tomas almost 12 years ago and since then their company has gone from strength to strength, growing into a renowned DMC company, developing unique travel and event concepts. Some years ago, they created the ALCHEMY High-End Travel Experiences brand, which was designed to partner with travel professionals from the luxury arena, providing truly individual experiences. From here, they have grown their diverse range of products and events and are excited to be launching the entire company as ALCHEMY DMC and building the ALCHEMY Group of Companies from this. He is a member of the Board of Directors of Destino Argentina, an association that promotes luxury travel in Argentina. The future holds incredibly exciting things and new projects for all things! 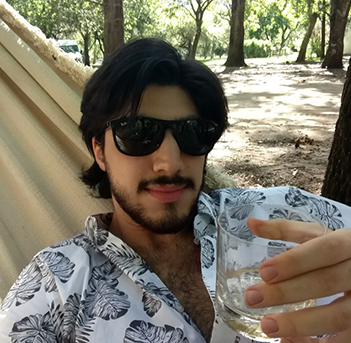 Sergio is your archetypical Argentinean in that he is crazy about welcoming people to his country and to his home, especially if there’s meat and wine involved! Sergio loves to host an "asado" and if you play your cards right, you may end up with an extra-special invite to join him! If ever meeting Sergio, we have one key piece of advice – If you don’t believe that The Ramones are the best rock band ever, best stay away from discussing music at all! Programmer and graphic designer, web developer and hard-worker with more than 20 years of experience on the Internet business. 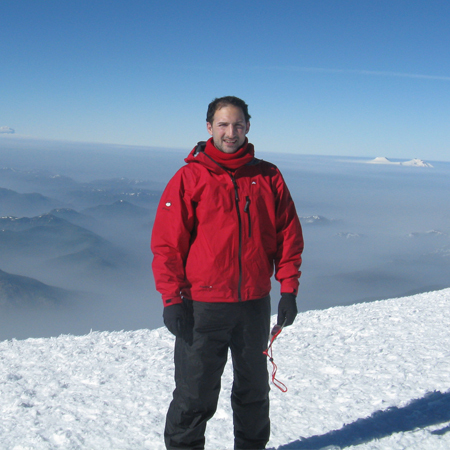 As a developer he makes inventory control, product and online sales systems, access and accreditation apps, focusing his experience on incentive trips and congresses. Loves to travel around Argentina destinations and enjoys family vacations. Veronica enjoys designing and operating challenging and out of the box luxury programs- focusing mainly on incentive trips and meetings. She loves discovering unknown getaways around her home country Argentina. Veronica spends her free time with family and friends, and enjoys painting mandalas, reading and maintaining her small but charming garden. Melina is pure Sagittarius: positive, curious and energetic. She loves living outdoors, admiring different landscapes and cultures. She majored in Tourism, and has worked in the business ever since. 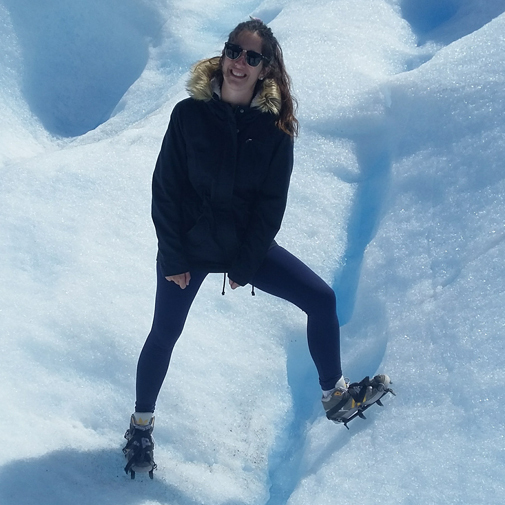 She started her career in El Calafate, Patagonia and used that experience as her impulse. She never stopped ever since. She has visited most of the main destinations in Argentina and has a comprehensive knowledge of the country and its possibilities. Always focused in B2B market, she has been part of the company for 7 years, in the MICE and Leisure divisions. Mariel has been a part of ALCHEMY DMC since the beginning of her professional career, when she majored in Tourism, and is now a member of the Leisure Division. She is fascinated with the world itself, extremely curious, with a constant feeling that there is not enough time to experience everything she wants to see. 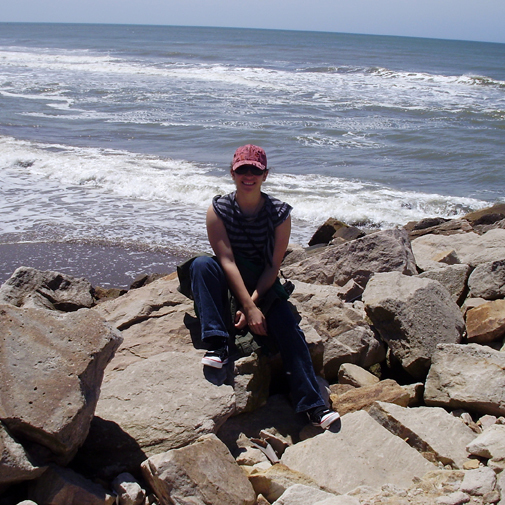 Mariel loves music and art, but her true passion is contemporary dance, and she is a proud River Plate fan. 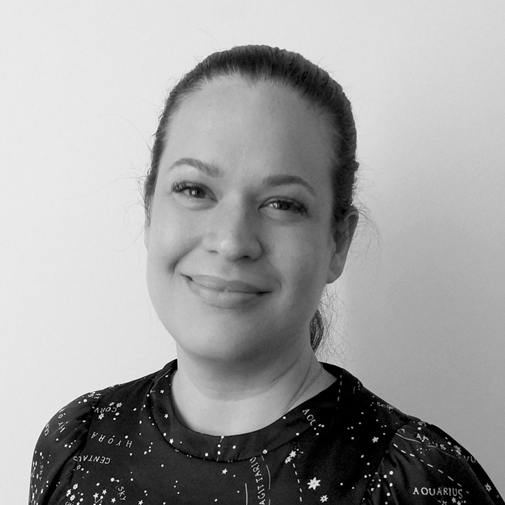 For the past 20 years Valeria has worked in areas related to Tourism and Events, starting in her early days as a flight attendant, later organizing Congresses on Education, and finally specializing in Inbound services for FITs and Groups. At ALCHEMY DMC she is part of the MICE Department, quoting and operating groups from all over the world. 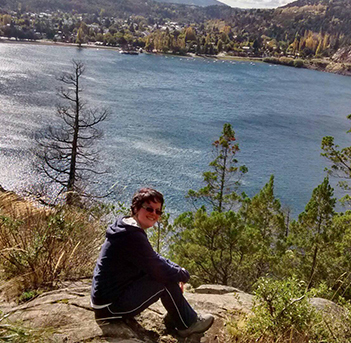 Valeria loves gardening and spending time with her family and friends, and has travelled extensively both in Argentina and abroad. Jorge has been working in the travel industry for the last 15 years, he started working at a 5 diamond hotel in Cancun, and then he discovered the incentives world. He loves to travel, and the part that he enjoys the most is the planning process, this is why he finds his job so pleasant. 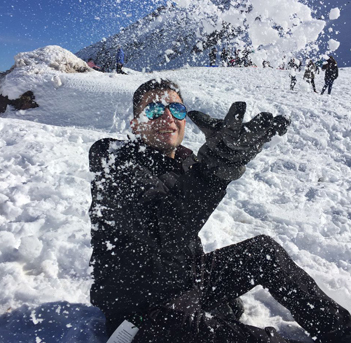 Jorge was born in Mexico City and lived in Cancun for several years, he decided to move to Buenos Aires in 2016, and he really loves the "porteño" life! Romina is an enthusiastic and determined person, avid bike rider and makeup artist. She is a passionate traveler who likes to discover the history and culture in every new city she sets foot in. 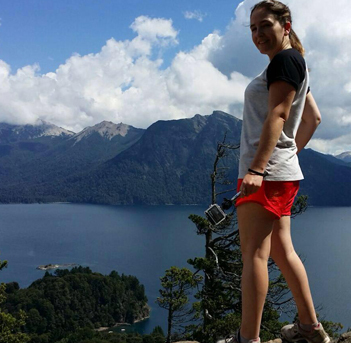 With her adventurous spirit she has explored Argentina extensively from North to South. 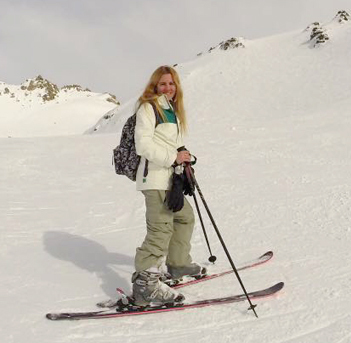 Shortly after obtaining her degree in Tourism, Romina found the opportunity to grow professionally doing what she is passionate about at ALCHEMY DMC. 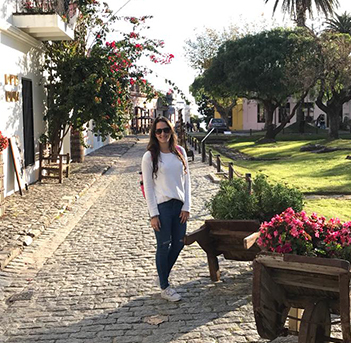 Adriana thinks that there is no better way to connect with people than learning their language and their culture, therefore, travelling is a “must” in her life. After she obtained her Modern Language Degree, she started working in the Hospitality and Tourism industry, which brought her to ALCHEMY DMC where she is following her passion for travelling and adventure. She is currently a member of the Operations Department. Norberto loves to travel and explore all kind of cultures, his favorite food is Mexican and enjoys listening to music all day long. He was born in Buenos Aires and moved to Cancun, Mexico when he was 19, where he lived for 10 years, working in the Travel and Hotel industry. In 2018 he joined ALCHEMY DMC as part of the Operations Department. 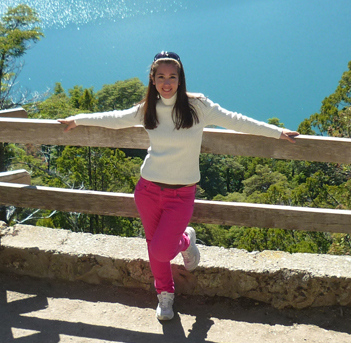 Marisol was born in Buenos Aires and studied Tourism, is a traveler and food snob. She loves animals and Nature. 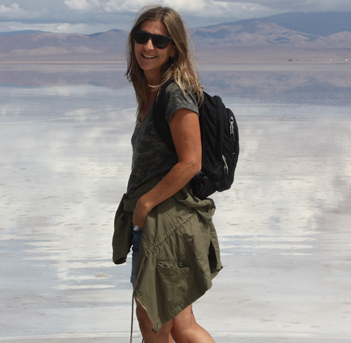 She has travelled in Argentina discovering and enjoying the captivating landscapes of her country. Marisol has been working in Tourism for more than 8 years and is part of the Operations Department at ALCHEMY DMC since 2015. 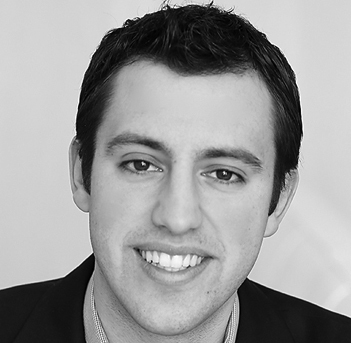 With a degree in Tourism, Julian has been working in the industry for the past 10 years. Bon vivant, lover of fine cuisine and avant garde cocktails, he enjoys travelling to international destinations, getting to know new places and cultures. 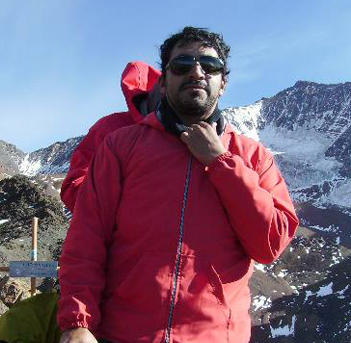 He is currently working as the Operations Manager at ALCHEMY DMC. Victoria is passionate about travel and cultural exchange with foreigners. 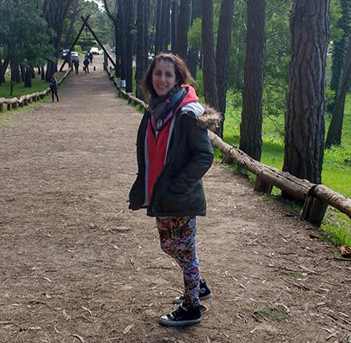 Born in Mendoza, where she grew up and studied Tourism, her impulsive personality brought her to Buenos Aires eight years ago, when she came to a Coldplay concert and stayed forever! Her favorite hobbies are dance and theater, and in her free time Victoria likes discovering new places and things to do. 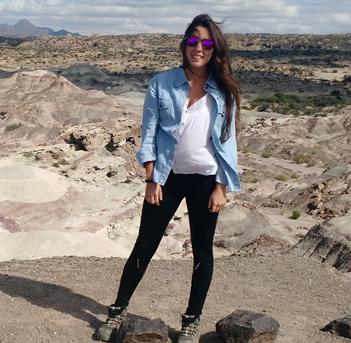 As part of the Product Department, she puts all her energy into finding the best activities in Argentina. Estanislao (also known as "Estani") is the head of the Graphic Department, handling both Print & Online requirements. Funny and creative, but not least responsible, he assures both colleagues and clients the best outcome for all of their needs. 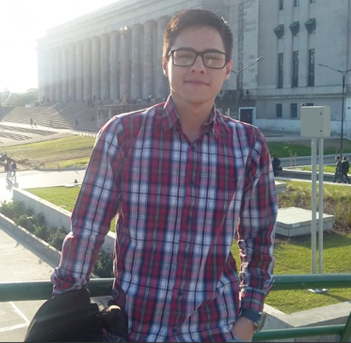 A part of the ALCHEMY DMC family since 2012, he has a degree in Graphic Design from the University of Buenos Aires. In he spare time he enjoys travelling, singing and partying! Valeria studied History and Graphic Design, and participated in workshops of graphics exploration tools. She is restless by nature and is continually seeking inspiration for her work; she loves to visit museums, old hidden Bodegones and to connect with the locals at the places she visits with her family. Her favorite hobbies are hand painting with Fileteado Porteño and dance. As part of the Graphic Department she pours all her energy into highlighting the best of Argentina! Maria works in the Outbound Department since 2008. 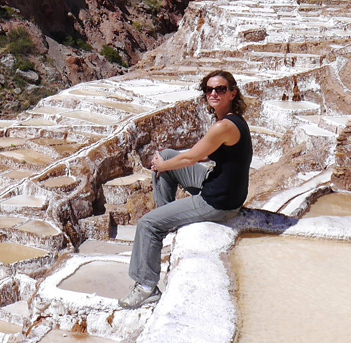 She studied to be a Teacher and after travelling within Argentina and abroad, and also living abroad for several years, she decided to pour all her expertise and passion into Tourism. Fanatic of San Martin Club rugby team and always following River Plate football team, every Sunday Maria enjoys the folklore experienced at the Stadium. 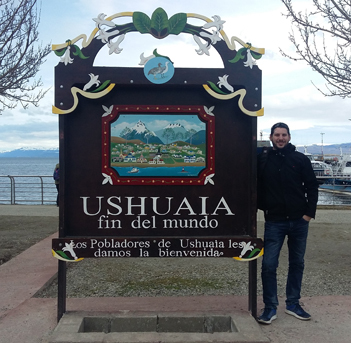 Hugo loves travelling, specially the mountain regions and driving along Argentine routes; camping, fishing and spending time Outdoors. 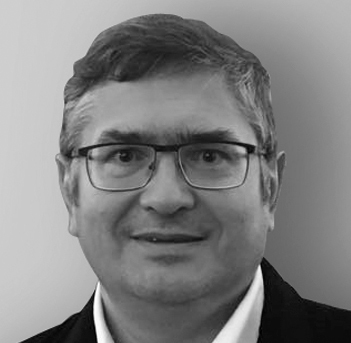 His other passion is technology and its advances, and at ALCHEMY DMC Hugo is in charge of the Systems division, creating new platforms that complement the multiple services the company offers. 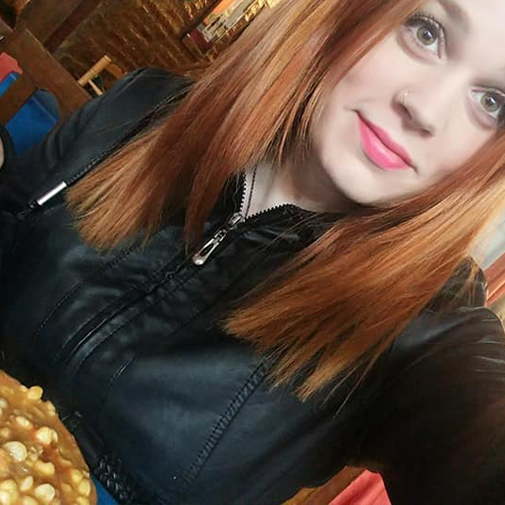 Nadia has a Bachelor's degree in Administration and is also studying to be an Accountant at the University of Buenos Aires. She loves to travel, spend time with friends, animals and punk rock. 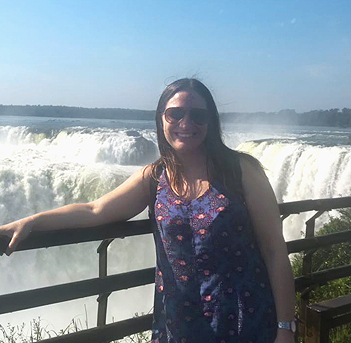 She started working at ALCHEMY DMC Argentina 10 years ago, has learnt and grown year after year with the company, and is now in charge of the Administrative Department. Valeria is a quiet and disciplined member of the Administrative Department of ALCHEMY DMC, where she has worked for the past 3 years. She loves meeting new people and establishing lasting relationships. Travelling and photography are her favorite ways of spending her free time. 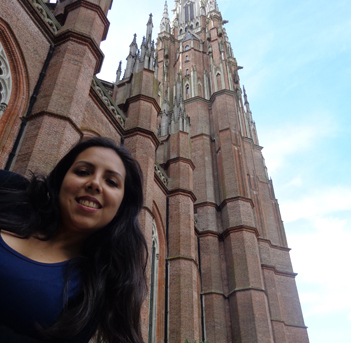 Miroslava is a dreamer and entrepreneur, she loves to explore and discover new places, cultures and customs. That is the reason why she is in Argentina today working as an administrative assistant at ALCHEMY DMC. She is characterized for being a happy, empathic, proactive person who works in an organized and responsible way. Marta has always been a seeker of new horizons. In the early years after she has got married, she devoted her time to care for her home and her two sons. She has always been passionate about cooking, so after her sons grew up she decided to follow her passion. She chose a career as a Chef and achieved a degree in Gastronomic Events Organization. She then ran her own Catering Service Company for 5 years. Eleven years ago she joined the staff of ALCHEMY DMC . She became so involved showing people the country she is so proud of that she began a new career as a Tour Guide which she continues to do at the present time. Florencia has a passion for literature, shopping, traveling and gourmet food. 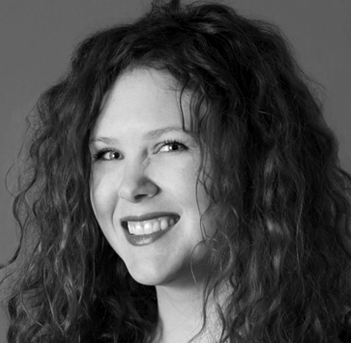 She majored in Social Psychology and as a Professional Meeting Planner. She has worked in the Travel industry, mainly focused on corporate groups and events, for more than 15 years while she gained a broad experience on meeting planning and Pharma industry. 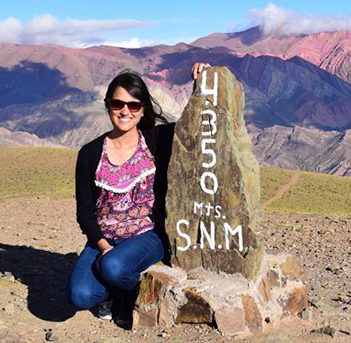 Ana loves traveling, making new friends around the world, the Outdoors and is a passionate runner. 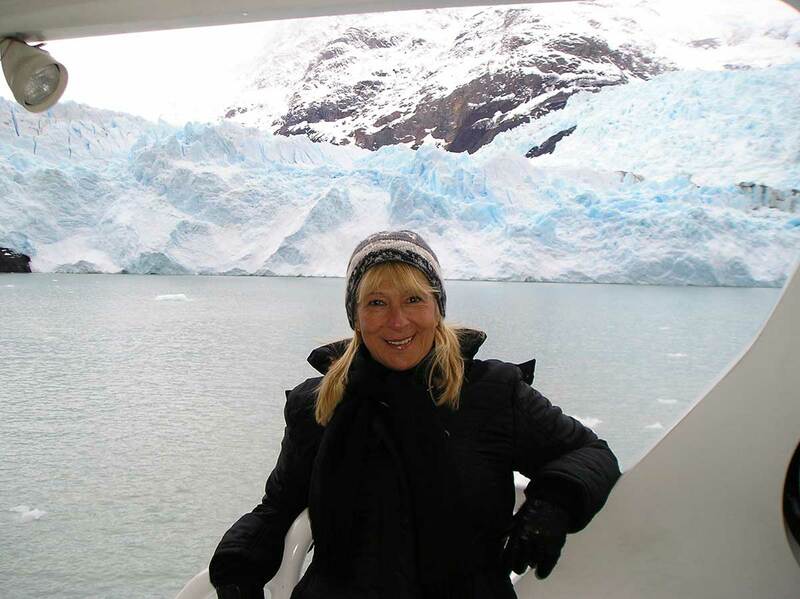 She majored in Tourism & Hotel Administration and has worked many years quoting incentive groups and individual travelers, and is an expert in Buenos Aires Venues and Excursions. At ALCHEMY DMC she works in the MICE Department developing unique inventive programs. Esteban hails from Buenos Aires. He handles all things Branding, working closely with the Graphic Department in all aspects from design to manufacturing to final placement (he is not shy about tying ropes and securing flag banners on a windy day). From an early age he took an interest in all things creative, especially art, lately working with advertising agencies producing storyboards and concept art for TV commercials. This experience helped him develop an eye for producing high quality work and assisting clients in meeting their needs. 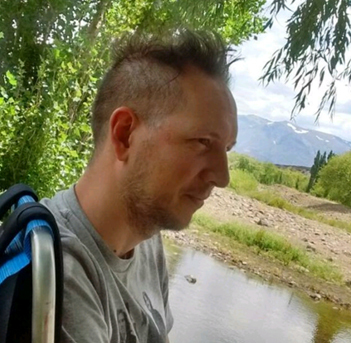 On his spare time he enjoys learning about foreign languages and cultures, drinking good coffee and listening to cool tunes from the best rock artists both local and from abroad. Alejandro is a passionate soccer fan and practiced Judo for many years. 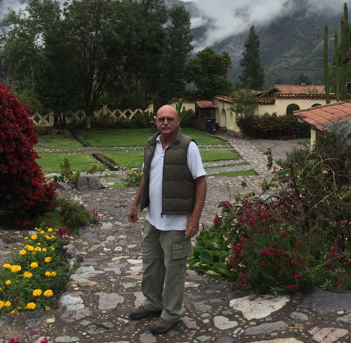 He loves his work and his beginnings were in a wholesale tour operator focused on receiving the first cruises that arrived in Chile in the early 80's. He worked there for almost 10 years and then moved to Operations Manager in a tour operator based in Latin America, where he worked for 6 years. Nowadays he is working for ALCHEMY DMC Chile. From the very beginning Anibal knew that he loved helping people in so many different ways. He started helping his suburb square to becoming a playable place for those avid for sports. He is a former basketball and volleyball player, and he loves to play “fútbol” every weekend. Anibal started working in hotels in Montevideo, where he was born, and became Sous Chef at both hotels and English-Spanish translator from Oxford University before he went to explore Brazil & Argentina for a while. Nowadays, happy to be part of MICE Dept. on ALCHEMY DMC, he brings together his passion for work while cooking for slums children’s on a help center some weekends. 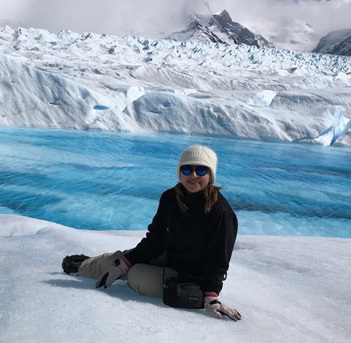 Initially a communications specialist and TV journalist, Brenda travelled extensively around Peru for more than two years, showcasing many of the country's most remote and beautiful locations. 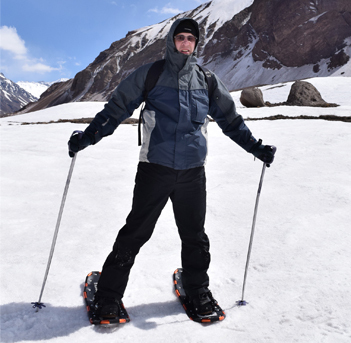 Based on that experience, she decided to specialize entirely on Inbound tourism, an activity she has dedicated exclusively to for more than 14 years. 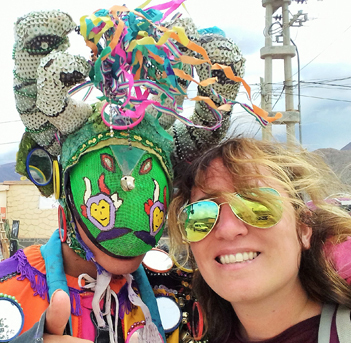 As Operations Manager at ALCHEMY DMC Peru, her current work involves setting up custom tour packages that allow visitors, on holidays or business, to take full advantage of their trip. Eduardo, a specialist in marketing and tourism communications, founded and directed the first tourism weekly,trade oriented, newspaper in Peru, a medium that, over time, evolved into a daily bulletin becoming considered among the most important tourism media in South America. In more than 25 years in the area, organized workshops and fairs, both nationally and internationally, to promote the activity among professionals in the sector. 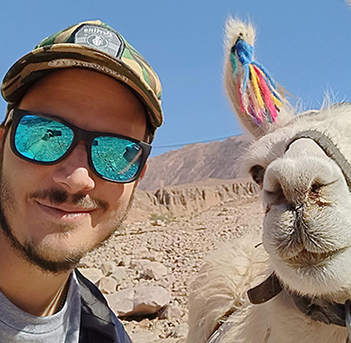 Passionate about tourism, the design of new products and services, as well as the quality of service, he is in charge of the helm of ALCHEMY DMC Peru to ensure the best experience for customers during their stay in the country. Passionate about traveling, Tomas prefers places where tranquility reigns. Fanatic of fly fishing and birds singing at dawn. He began his university studies at UTN and has always worked in companies related to Systems. For 3 years he has been part of the ALCHEMY Group. Fun, passionate and very proactive, Sofia lived in Brazil, specifically in Teresina, where she learned traditional dances. For her Holidays she always chooses that city to visit her family. Four years ago she joined the ALCHEMY Group in order to attend to the large accounts of the company. 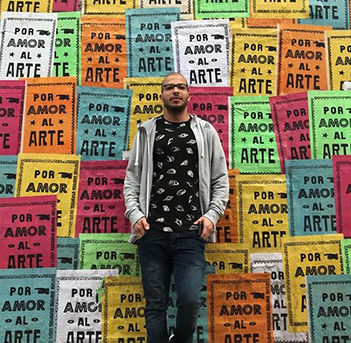 A lover of theater and media, he studied acting since he was 6 years old, driven by his mother who worked in a local soap opera in the city of Rosario, Santa Fe. Over time he turned to Computer Science and abandoned the artistic profile. Today he carries out the task of managing the infrastructure of the ALCHEMY Group. Music lover and collector of Vinyl records, Ariel loves to run and participate in almost all existing Marathons. He enjoys vacationing in Northern Brazil (where he also looks for record stores for his private collection). He studied Graphic Design at the Universidad Abierta Interamericana and worked in companies related to the field. 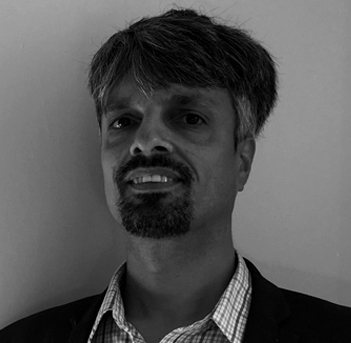 He founded Trinahost SRL, which today is part of the ALCHEMY Group with the clear mission of accompanying clients and being a leader in technology applied to the development of systems. Federico is the newest addition to the ALCHEMY DMC roster, combining his passion for high-end experiences with his Marketing studies. He is one more of the bunch who loves learn something step by step every day. In his spare time, he enjoys running and a good book, but his real passion is travelling as much as he can. 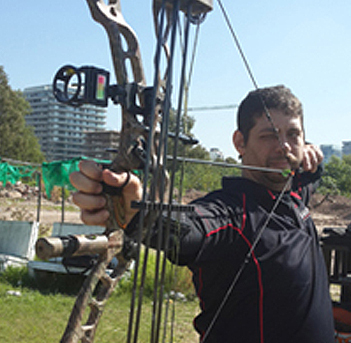 Emanuel loves traveling the world, is a soccer passionate, cinema enthusiastic and Nature lover. He is a natural born Entrepreneur and mastered Chef. 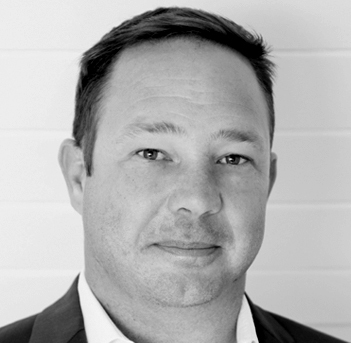 He works with ALCHEMY DMC as a Sales Partner in New Zealand/Australia and also as the Account Executive for the local clients. 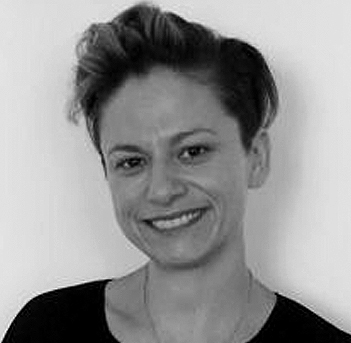 Eugenia has been working in the travel industry for more than 10 years. 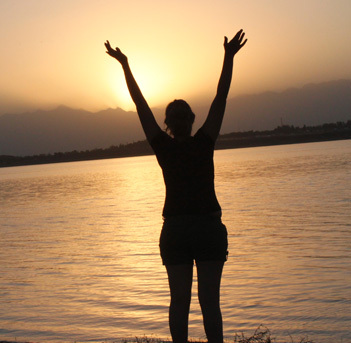 Her curiosity took her to travel all over the world and to improve her career. 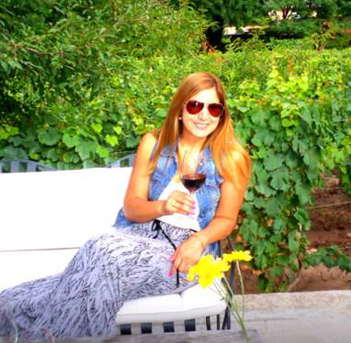 She loves spending time with her family, a good Malbec and cooking for her family and friends. Alejandra decided at the age of 15 she wanted to be a professional in Tourism, and she’s dedicated 8 years to her academic growth. She started working professionally in the Industry in 2006 and has a 10 year experience in MICE. She loves the challenge of big groups and events logistics and enjoys seeing the faces of our guests when we blow their minds. Alejandra loves reading, cooking and singing, and she spends her free time between her family & friends, an amateur choir, and her outings in the city. 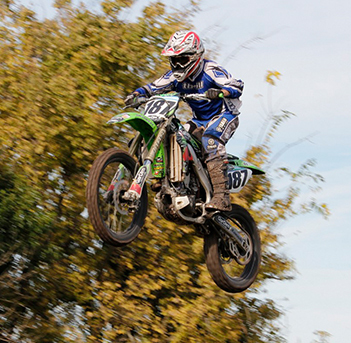 Since he was a child, Nelson has been an adrenaline lover. He likes every single activity that involves risks and extreme sports. Also, he has been working in the IT industry for the past 10 years. As a computer science enthusiast he joined ALCHEMY DMC IT Department. 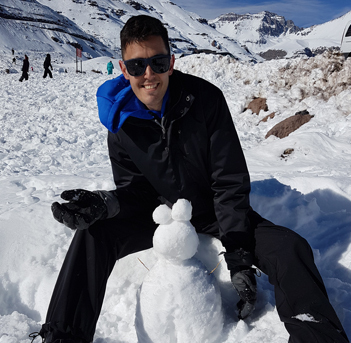 Juan works on the Operations team at ALCHEMY DMC Argentina, he answers the calls at the office, so if you have to call us, you will probably talk to him. Juan is a creative guy, that loves making contact with new people, he enjoys to learn everyday from the different life experiences. He likes to play the drums with his band in his freetime, and is crazy about food and exotic tastes. Veronica works behind the scenes together with the Sales team, loading rates and finding the best options for our customers. In the past she worked many years in Events and is now specializing in the Product area. She loves spending time with her family and travelling with them; going to the cinema and sports. He comes from Venezuela; he is a cheerful, proactive, collaborative and responsible guy. He likes knowing new cultures and tastes all the food they have, that’s why he is in Argentina currently working in the administration department of ALCHEMY DMC. Alina has been working in the hospitality industry for more than 10 years. Either in hotels, travel agencies or as a consultant, she always has the guest in mind and does her best to make sure their experience is truly memorable. She has traveled extensively, however her list of destinations yet to discover keeps growing. She loves dogs and sharing good times with family and friends. Sebastian has a degree in Accounting and a passionate soccer and rugby fan, playing alongside Tomas and Sergio in their local rugby club. 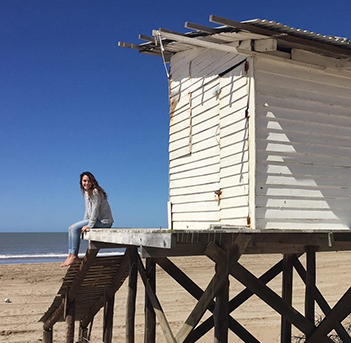 He loves all kinds of outdoor activities, especially enjoying the lovely beaches of Necochea with his family in his spare time. Mayra was born in Argentina and grew up in Buenos Aires. She has been travelling around Argentina since she was a child. She decided that she needed to add a new side to her career (she had already earned a diploma in Tourism), so she enrolled in accounting studies, which is great because dealing with numbers is a huge part of her job! When she is not entertained with clients, she enjoys being a personal fitness coach. She believes that having balance in life allows training your mind and your body. Celeste is a travelling lover, she started her career working as a tour guide and has great experiences doing it. 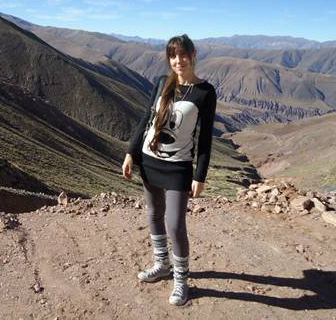 She thinks that Argentina has the most stunning landscapes, specially beautiful mountains. She loves nature and local food. Her hobbies are trekking, biking, visiting fairs and practicing yoga. She loves spend time with friends, boyfriend and family. 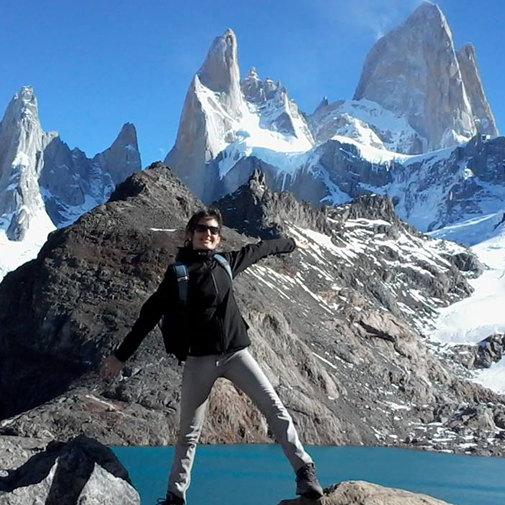 Maria's trips are all about outdoor activities, long treks and drink some mates in outstanding landscapes. She travelled widely through Europe, Asia, New Zealand and Australia; but her favourite destination will always be Argentina. She loves its food, music and culture and always encourages people to visit it when she meets fellow travellers abroad. In her free time she loves gathering with friends and family, singing, playing the guitar and have a cold beer at a brewery. Anabel is a graduated Graphic Designer and professional Photographer. She has a curious mind and strives to learn and explore new things that feed her creativity. She has a very determined sence of responsibility. When she travels, she likes to go to those not known places and enjoy the tranquility of a landscape for herself. 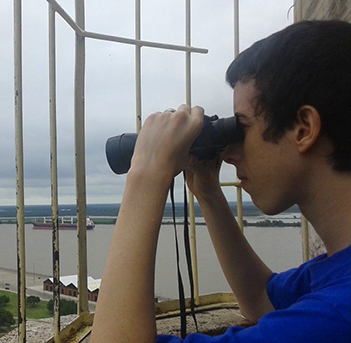 Santiago was born in Buenos Aires and since he was young he developed a passion for Geography and Travels. He is very enthusiastic, so he decided to join both of his passions and he made a career in Tourism. He has been working for 12 years in the industry. 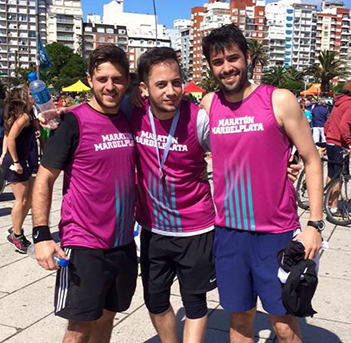 He loves challenges, and so, he joined ALCHEMY DMC Argentina to lead the Leisure Team. He is fan of travelling and spending time with his family and friends. He can’t imagine his life without music, but he’s favourite hobby is to attend River Plate’s football matches. From an early age, she enjoyed travelling. She is particularly interested in history, arts and architecture. 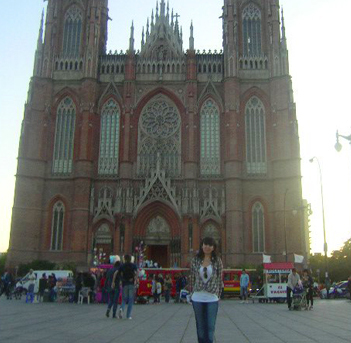 Her eagerness to discover new places, took her to different trips through Argentina and Europe. Ana Eva is passionate about nature; she is especially fond of horses and cats. In her free time she volunteers for different social causes. Her innate senses of service and responsibility inspire her to be both patient and meticulous. Monday to Friday from 9:30 to 18.30hs.